Every homeowner wants to make the right home improvement decision. After all, who doesn’t want to experience a good return on investment? The problem is that there can be many things to improve in a household, to the point that you won’t know where to start. 1. Improve your energy savings by replacing your old roofing. 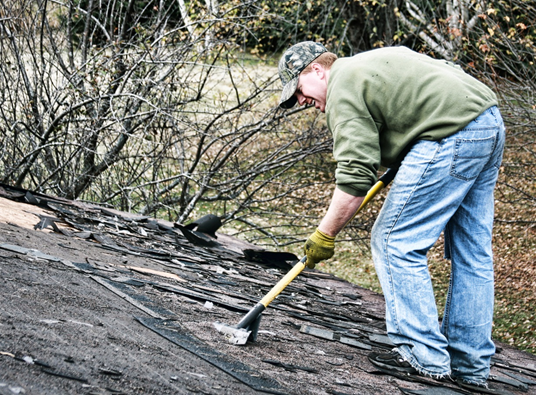 Putting a new roof over your head this fall is the best way to increase your energy savings. It also improves indoor comfort by keeping your home warm during winter and cool during summer, as well as protects your home from various elements. With that in mind, we install roofs from CertainTeed, which are resistant to fire and strong winds. If you are after curb appeal, our roofs mimic the look of wood shake and slate. 2. Keep your home dry and comfortable with a new siding. If you are looking for a home improvement project that will enhance the overall comfort of your home, a new siding will work for you. Roger’s Roofing installs vinyl, insulated vinyl, and fiber cement. Insulated vinyl and fiber cement offer protection like no other. They are designed to keep homes free from leaks and molds. You’d be surprised at how well they can stand up to almost any kind of weather. 3. Let in more fresh air with replacement windows. Lastly, keep your home fresh by increasing ventilation. Our glider and double-hung windows essentially let in abundant ventilation. The more fresh air you usher in, the drier and comfier your household gets. Our windows from Marvin Windows and Doors and Great Lakes Window have the technology to prevent drafts. Even in the midst of the rainy season, you can still enjoy a dry and comfortable home. New siding, windows, and roofing in Orland Park, IL are three of the best home improvement projects to do this season. Don’t be the last to enjoy the benefits that they offer. Call us at (219) 228-8210 or (773) 492-2270 to learn more about home improvement projects that are worth investing in today. You can also fill out our contact form to schedule a FREE estimate.